Emergency services attended scene of caravan accident on NSW's M1 Pacific Motorway near Dog Trap Road. No further details available. Australia's newest holiday park has opened in Tasmania. The $10m NRMA St Helens Waterfront Holiday Park offers 26 cabins and 45 powered camping sites. * Drought hits outback caravanners' water supplies ... 20,135 people reached. * Another sinkhole opens up at Inskip Point ... 16,394 people reached. 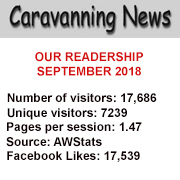 * Caravan parks included in sale of roadhouses ... 8001 people reached. * Grey nomads paying cash for their RVs ... 6781 people reached. * Grey nomads coming up trumps on Lotto ... 5660 people reached. HACKERS have targeted a major Gold Coast-based resort and caravan park management company, it has been revealed. The cyber criminals accessed login details which allowed them to access an email account used to communicate with Australian Tourist Park Management (APTM) guests and customers. "We have been able to confirm that the likely purpose of the activity was to attempt to conduct company invoice payment fraud," the company said. "None of these attempts were successful." The accessed email contained only limited contact details of people who may have attended an event, function or made an online reservation or inquiry to an APTM-operated park before March 23 this year. "No other guest or customer information, including financial, credit card, bank details, passport or driving licences, usernames, passwords, login details, tax file numbers, date of birth etc. were affected," the company said. APTM, which was acquired by the National Roads and Motorists Association last year, reassured customers it had now "re-secured" its system after consulting IT and cyber experts. VICTORIA'S caravan Industry will soon have access to cutting edge training thanks to a new project funded under the state government's Workplace Training Innovation Fund. The welcome $1.2 million project, which will deliver the Certificate III in Recreational Vehicle Manufacture for the first time at scale, on-site and with collaboration between industry and the training provider, was announced by local MP Bronwyn Halfpenny (pictured). The Caravan Industry Manufacturing Excellence project is being led by Caravan Trades and Industries Association of Victoria in partnership with Melbourne Polytechnic and Nova Caravans. THE boss of a Maryborough caravan park in Queensland has warned that free camping will kill off family businesses. 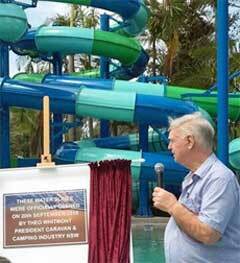 Wallace Motel & Caravan Park's John Kennedy claimed the Fraser Coast council would not dare to provide free camping in Hervey Bay or Burrum Heads where they operated their own "very profitable businesses". 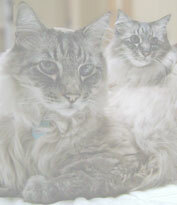 "But here in Maryborough, where they have none, we are thrown to the wolves," he complained. Mr Kennedy claimed there had been a concerted push by lobby groups, allegedly led by the Campervan and Motorhome Club of Australia, to convince councillors to provide free camping in towns ... or lose business. MAJOR RV player Apollo Tourism and Leisure has told shareholders it is pleased with its performance during the last financial year. It makes the comment in its annual report to investors, which came as the Brisbane-based global company's shares took a pounding on the stock market to reach their lowest level for a year. Since its humble beginnings in 1985 renting out just one pop-top caravan from a shed in the city's north, Apollo has grown into a multi-national company focused on manufacturing, renting, selling and distributing a range of RVs including motorhomes, campervans and caravans. The report said Apollo's revenue for the year ending June 30 was $355 million, representing a 122 percent rise on the previous year and returning an after-tax net profit of $19 million. Shareholders were assured the outlook was positive, with increased rental bookings for the year ending June 2019. QUEENSLAND'S peak caravanning body is helping a young boy achieve his dream. Caravanning Queensland has promised to do all it can to help Brisbane's 11-year-old Ashton Brown who is on a mission to help the homeless. The big-hearted Year 6 student has been operating his own charity ‒ Homeless Helpers ‒ for the past two years providing meals, blankets and other necessities to the less fortunate but now believes a caravan would be a great asset to his work. 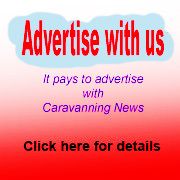 And CQ chief executive Ron Chapman told Caravanning News that his organisation was only too willing to help the young hero. GOONDIWINDI Regional Council has decided to abandon a free-camping trial in the town on the NSW and Queensland border. Mayor Graeme Scheu said the council had decided it could not warrant investing extra ratepayer’s funds into the possibility of extending the trial at Redmond Park in Goondiwindi. Councillors arrived at their decision after a lively council chamber debate. "We were presented with just two options: either discontinue the town free camping trial or inject further resources into the management of the site in order to demonstrate a suitable level of compliance to extend the trial," Mayor Graeme Scheu said. A GRAND old lady from yesteryear is helping a young woman's business to blossom. Florist Ebony Travers from Geelong in Victoria has taken to the road in a restored and modified Franklin caravan built in the 1970s. Rather than setting up a permanent shop for her Wildfolk Flowers enterprise, she now has the ability to work from wherever she pleases. 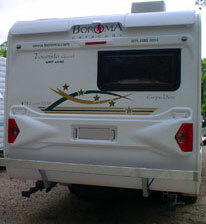 "There was a lot of driving around Victoria to purchase and renovate the 'van," 23-year-old Ebony told Caravanning News. "But once it was home, myself, partner, mum and dad spent countless hours transforming it." CARAVANNING Queensland and Top Parks have been officially recognised as holders of a new Guinness World Records title for the largest ever LEGO caravan. Guinness World Records adjudicator Brian Sobel announced the news after inspecting the caravan at the Brisbane Holiday Village. It beat the record set up in the UK by 73,472 bricks. Built to celebrate the 50th annual Queensland Caravan, Camping & Touring Supershow, it took a team of up to 20 adult fans of LEGO from across Queensland and interstate to accomplish. 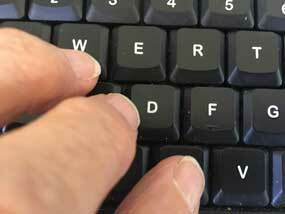 CARAVAN industry businesses are being warned to take precautions against digital criminals. 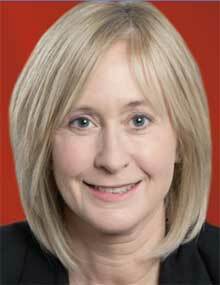 This follows recent cybercrime attacks on unwary small and medium enterprises. 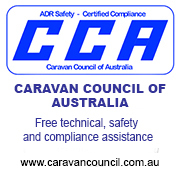 The Caravan Industry Association of Australia has received reports of malware and other cybercrimes and says this is a timely reminder to ensure businesses are well protected. It appears the crimes involve trying to extract information for the purposes of invoice fraud. A REDBANK Plains couple is planning a big trip after scooping the top prize, worth more than $100,000, at the 50th Queensland Caravan, Camping and Touring Supershow. Scott and Carla, who requested their surname not be used, were the winners of the biggest prize ever given away by Caravanning Queensland at its annual industry showcase, and at any caravanning industry event in Australia. They are now the proud owners of a one-of-a-kind, 50th anniversary Cub Camper Trailer and a Volkswagen V6 Turbo Diesel Amarok. Their windfall was even more unexpected because they went to the supershow only looking to buy a basic 12V camper shower. THE Caravan Industry Association of Australia and BIG4 Holiday Parks have revealed a multi-year partnership to help Australia's leisure accommodation market to grow. BIG4 chief executive Steven Wright said his holiday park network was looking forward to working more closely with the caravanning and camping industry's peak body. "We have a number of exciting initiatives we'll be working on together including large scale consumer promotions to draw more attention to the benefits of holidaying in the great outdoors across our beautiful country," he explained. COST-CONSCIOUS grey nomads are benefiting from Sheng's love of the open road. 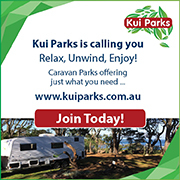 The Sunshine Coast traveller has chalked up tens of thousands of kilometres checking out free and budget camping spots all over Australia. "It's my dream job and lets me go to many places that I want to visit," he told Caravanning News. Sheng is an auditor for the popular Camps Australia Wide guide, regarded by many caravanners and other RVers as the 'Traveller's Bible'. PROSPECTIVE grey nomads are shunning personal loans and forking out millions of dollars in cash for their luxury RVs, according to Apollo Tourism and Leisure. "Very few use any form of finance," chief executive Luke Trouchet said. During the last year, the global Brisbane-based company sold $139 million worth of RVs including caravans, motorhomes and camper trailers, and there's no sign of sales falling. FORMER On the Run chief operating officer and Westfield Marketing executive Michaela Webster has taken over the role of chief operating officer at Australia's largest holiday park company, Discovery Parks. 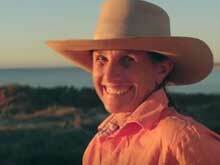 South Australian Telstra Businesswoman of the Year Award winner (corporate) Ms Webster oversaw the growth of the South Australian fuel business into a fast food, coffee and convenience store network and has worked in senior marketing roles with Westfield in Australia and the UK. Discovery Parks chief executive Grant Wilckens said Ms Webster ‒ who recently worked on Discovery Parks' licensed park strategy as a consultant ‒ was ideally placed to oversee the next stage of his company's growth and transformation agenda. BERNARD Hudson is now the proud owner of a brand new Jayco camper trailer. He won it after entering the Caravan Industry Association of Australia's Win a Weekender competition, run in conjunction with Jayco, Dometic, Top Parks and NewsCorp. A thrilled Bernard collected the prize from Jayco's Sydney headquarters where he undertook an induction in preparation for his first trip. "I was over the moon," he said. "I'm getting a bit old in the backbone to be sleeping on the ground now."